Want to boost conversion and sales of your beauty products online? Don’t lose out on your potential customers due to your poor landing page because now you can now boost sales of your beauty products with our effective beauty product landing pages. 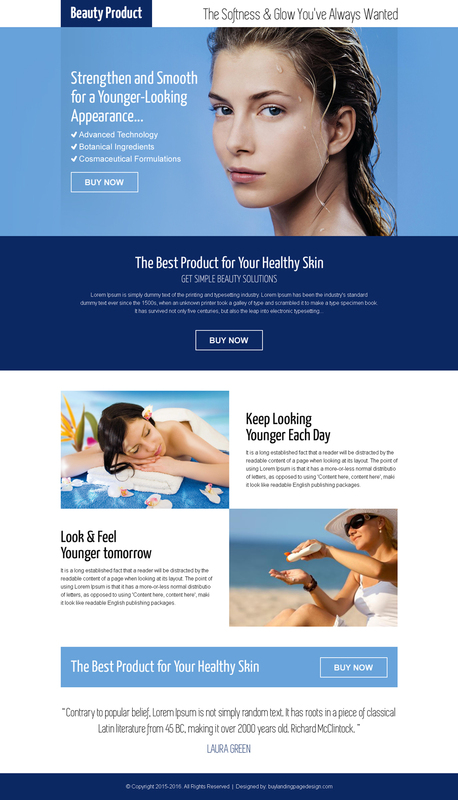 You can use our effective and responsive beauty product landing pages to capture quality lead online at a pocket-friendly price.